Back to wall toilets: What are your options? When designing any part of your home there are a wealth of furniture, materials, accessories and intrinsic designs to think of. The more choices there are, the harder the process has become! In the past, planning your bathroom would have been considered one of the easier tasks when it came to the interior design process. However, as the range of products on offer have become more luxurious and accessible, the selection process has now become tougher than an X Factor judging panel! Even the humble toilet has proved to offer a lot more quality and variety for your money these days. Its design has come a long way since the early days of toilet design and the traditional close coupled model is no longer the only option. Modern designs such as back to wall toilets are proving to be the most popular. Yet if you're only just entering the modernised bathroom world it can be difficult to pick which is the best for you. With a back to wall toilet, the toilet pan (the bit you sit on) is separate to any other part of the toilet. The cistern is normally supplied separately. With a close coupled toilet, the pan and cistern all come as one complete unit. 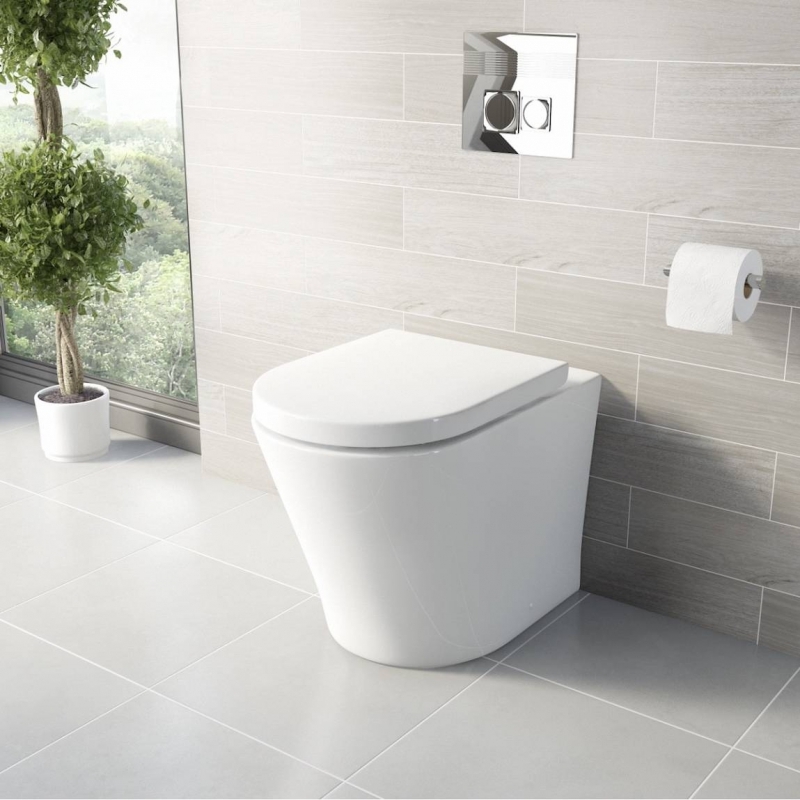 A back to wall toilet (as the name might suggest) can sit flush against a wall or unit, whereas there is usually (but not always) a gap between a close coupled toilet and any wall. The flush on a close coupled toilet will be located either on top or to the side of the cistern, whereas with a back to wall toilet, the flush will be wall or unit mounted. One thing they both have in common is their wide range of designs, from contemporary to traditional toilets, and from curved to more angular designs. So whatever your overall style, you should be able to find a modern toilet to suit. 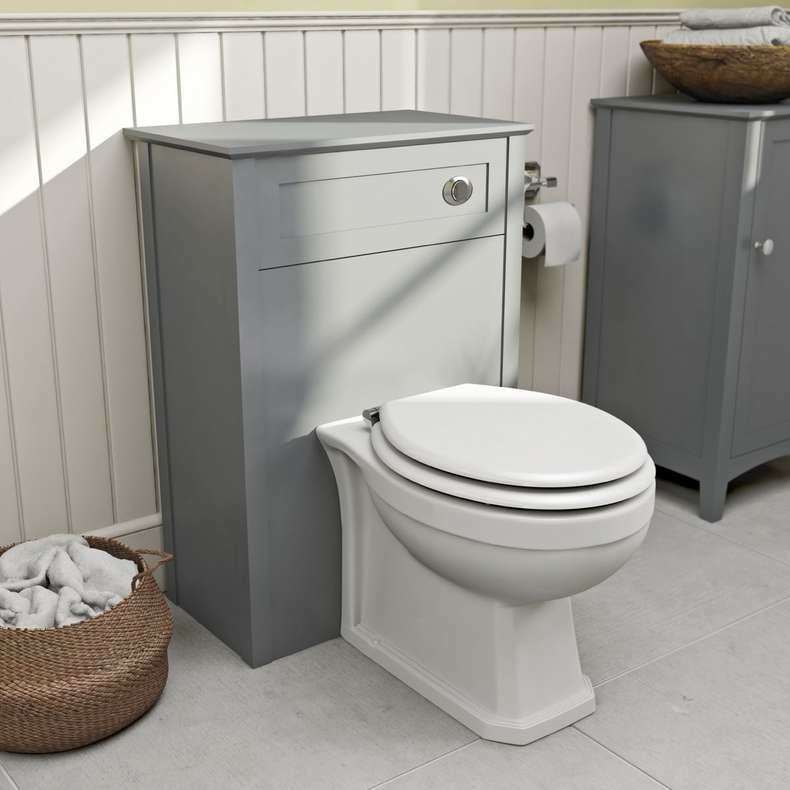 A back to wall toilet can be the most practical choice if reduced size is your main consideration. The cistern can be built into the wall to use as little space as possible. You can combine your toilet with a back to wall unit to help complement the rest of your bathroom furniture. Plus, you can purchase your toilet and back to wall unit combined, and there are a number of colours and finishes available including white, grey, wenge (close to black), oak and walnut - take your pick. A back to wall toilet will add a modern dimension to any bathroom and can bring any tired old suite bang up to date. With no awkward nooks and crannies, a back to wall toilet is easier to clean and maintain than most close coupled toilets. We would also recommend applying an easy care coating kit to make your regular clean an absolute breeze. A back to wall unit can provide a convenient, stylish and hygienic place to stow your bathroom essentials. If your bathroom is particularly short on storage, this could be a great option for you. Ultimately, your choice of toilet has to depend on preferences and personal needs. It is important to look at the size, design and shape of the toilet in relation to your own bathroom and the space available. Take your overall budget into account and be mindful of how your toilet will fit into your overall design. A back to wall toilet may seem to require a little more work than a close coupled toilet, but the final result is guaranteed to impress. Browse our wide range of back to wall toilets today. When you think of a wall hung toilet, you probably imagine something used solely in hotels, restaurants or even bars. However, with more design choices than ever, it may be time to invest in one. A back to wall toilet is the ideal choice for a contemporary bathroom, providing a sleek, modern look. If you’re thinking about a back to wall toilet for your bathroom, this guide will give you an overview of the range available at VictoriaPlum.com, and what you need to consider when choosing one.